HIGH-QUALITY – Constructed from sturdy food grade carbon and high grade 304 stainless steel, so you can continue to use your pasta maker for many years to come. 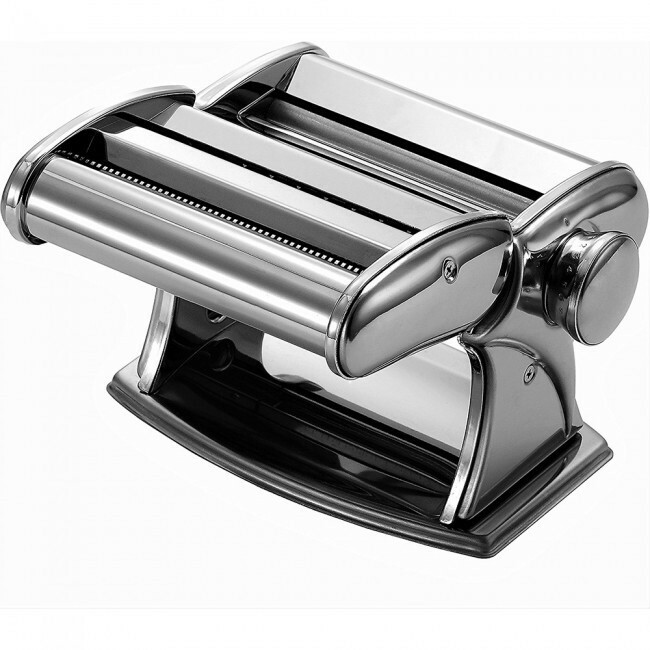 INCREDIBLE VALUE – Comes with 3 premium attachments that make the pasta-making process much easier. 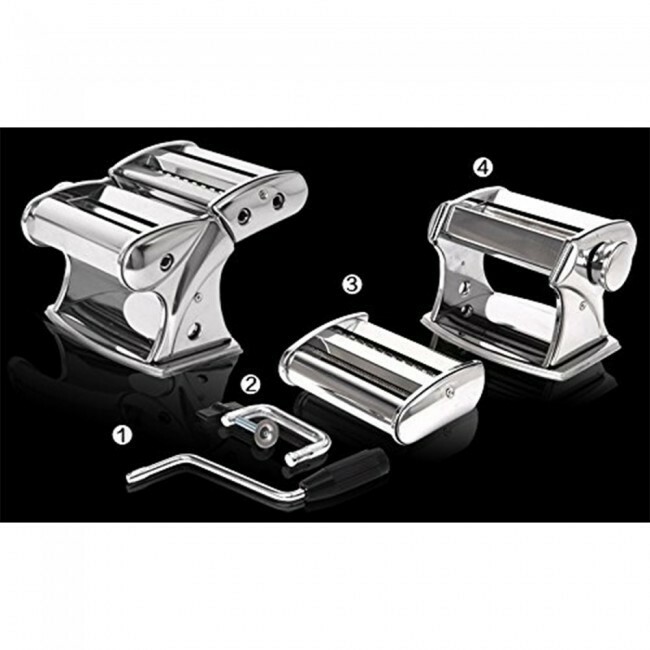 These attachments are: stainless steel hand crank with a plastic handle, an adjustable countertop clamp, and a double pasta cutter attachment. EASY TO USE – Ovente makes it easy to create fresh, homemade, and authentic pasta in the comfort of your own home. The clamp is adjustable so that it fits securely on any countertop, and the hand crank allows you to easily roll out dough to turn it into different types of pasta. 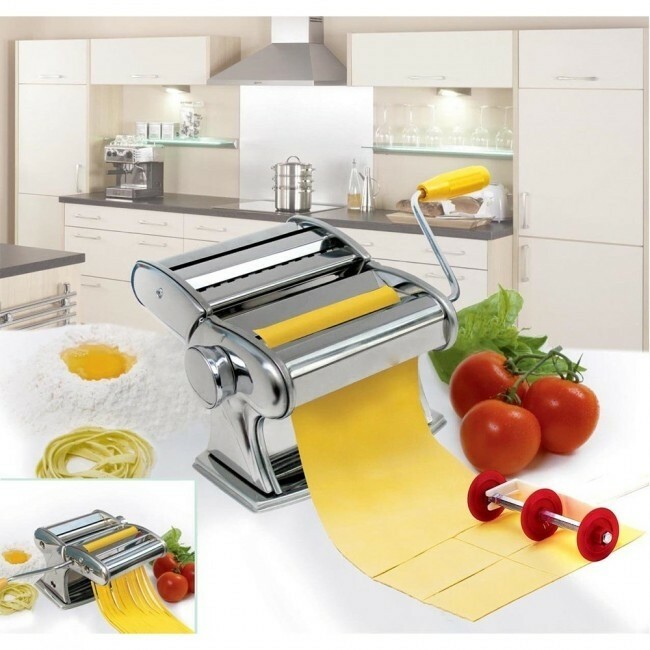 VERSATILE & CUSTOMIZABLE – Features a 7-position dial which helps you choose the exact thickness of the pasta dough. The included double cutter attachment allows you to make delicious and flavorful spaghetti and/or fettucine. 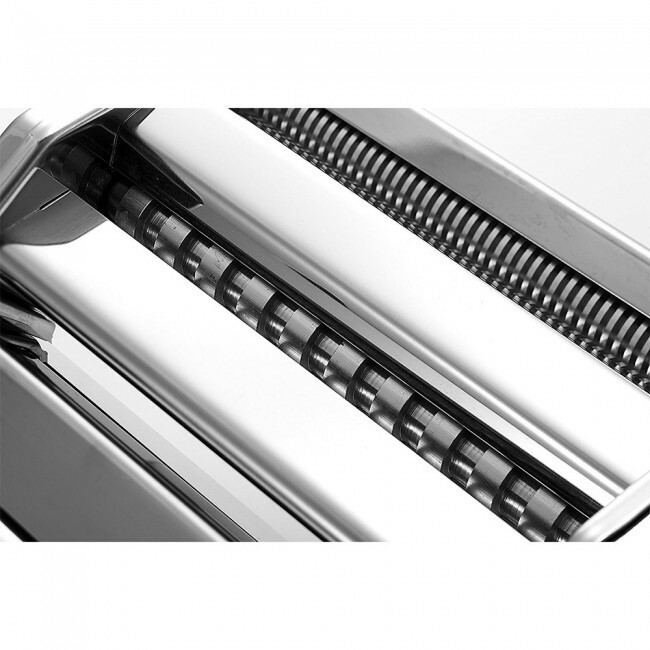 EASY TO CLEAN – To clean the machine after use, use a brush or wooden rod. Do NOT clean with water. If necessary, apply a few drops of Vaseline oil or mineral oil on the ends of the cutting rollers. Hello, I would like to update this item please. Thank you.